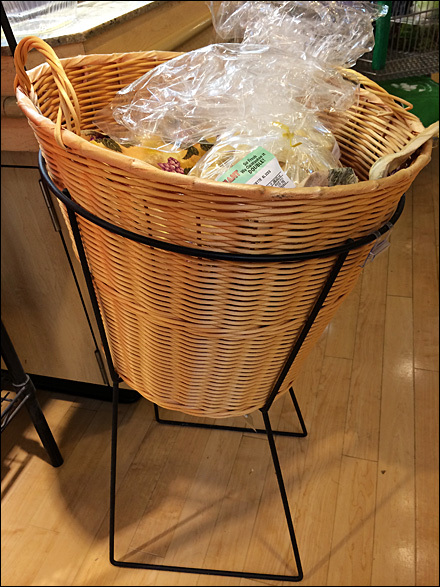 A modern and minimalistic all-wire stand for display of a traditional woven Wicker basket. Light-weight and portable the unit can be relocated for a variety of cross sells … here French Baguette at the Olive Bar. 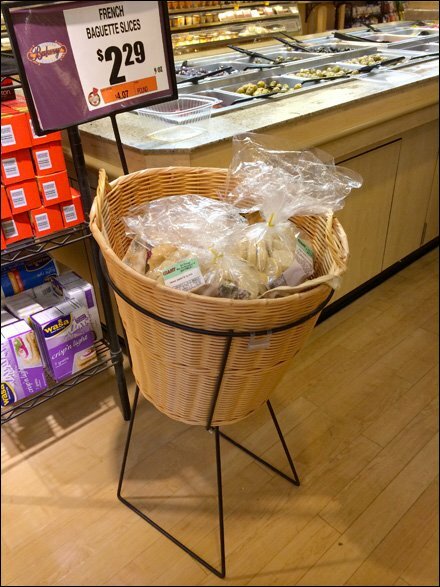 See the integral sign holder speaks out at nearly eye level for maximum communication and sell-through. CLICK the thumbnail for a closer look at the base. Scroll down for additional Wicker reviews.